that seems to descend from the heavens. "Ten" means the heaven in Japanese. 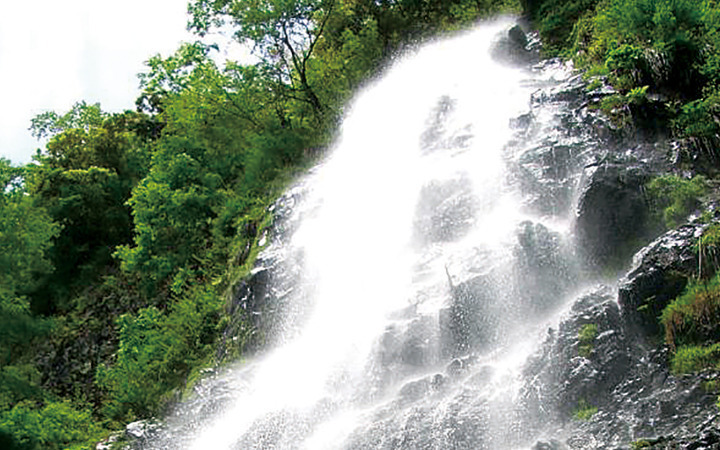 The waterfall was named because of its great height, which seemed to reach the heavens. 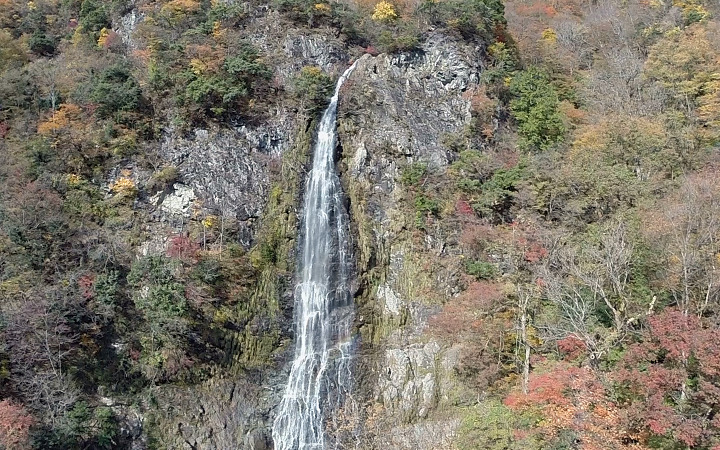 Tendaki falls is about 98 meters high and is one of the Japan's 100 Best Waterfalls. 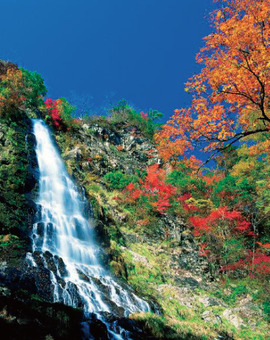 There are several more waterfalls in the area such as "Meoto Waterfall", "Tsutsumigataki Waterfall" and "Ito Waterfall." The area was also selected as one of the Japan's 100 Best forests for Forest Bathing. Bring your walking shoes, it is an approximately 1 hour hike to the falls. There is a restaurant at the foot of the mountain.